Motor Image Group (MIG), the distributor of Subaru vehicles in 9 markets across Asia sprung to action immediately and clarified that its customers are not affected by the power steering defect announced by Subaru Corporation last night. Across all its operations, only 3 markets: Hong Kong, Taiwan, and Singapore have shipments due of affected vehicles. A total of only 120 cars from the affected batch are due in these markets and none of these have been delivered to customers. However, during this interim period, MIG says that customers may have to wait longer than usual due to Subaru Corporation’s decision to halt production in Japan. In the meantime, MIG will continue to take bookings from customers, including reservations on the all-new 2019 Forester. 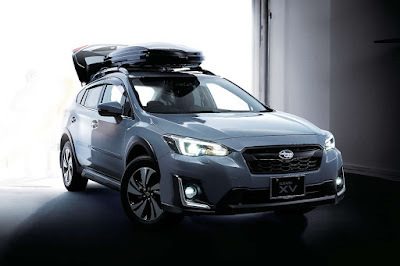 facilities in Japan from January 16, 2019 due to defects affecting the power steering in 3 vehicles models: the Subaru XV, Forester, and Impreza. The affected vehicles were manufactured between late December 2018 and January 16, 2019. With safety as their number one priority, MIG says they are in constant contact with Subaru Corporation for any further updates regarding this issue.